On 25 September 2017 Erasmus Plus Power was double in Soverato, a little city on the beach in Calabria region, the deep deep South of Italy. It was the occasion for the local community to experience the first multiplier event on a topic which is theoretically very interesting but practically, it’s new and challenging for all, especially in Italy. Let’s reflect on the words: “social entrepreneurship” and “social enterprise”. They are not the same thing. The JUMP team took the chance of an international training organized by the association as hosting partner of a network of schools from 6 Countries titled “TICO: teaching is Innovation, Communication and Outdoor Education” to give to SO-VET communication and promotion more strength and reach more people in the local context. 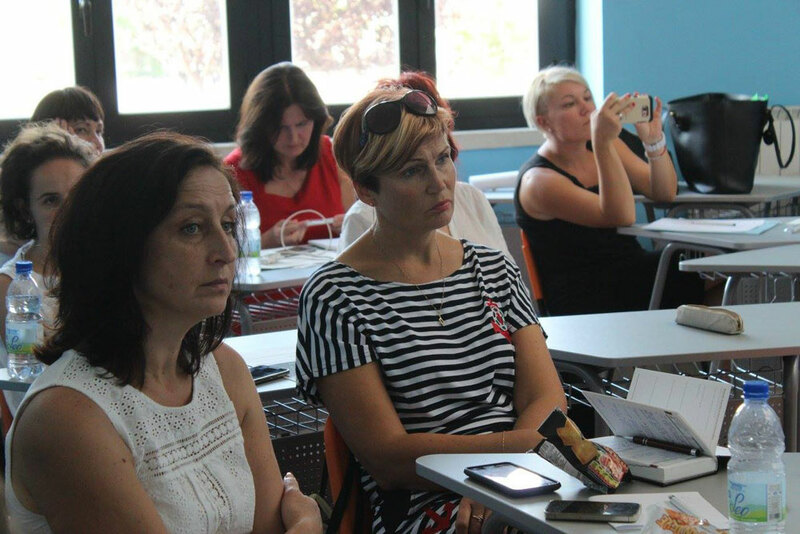 14 between schools directors and teachers representing 7 schools, both primary and secondary, from Poland, Estonia, Lithuania, Latvia, Romania and Croatia arrived on 23/09 and spent a week in the city exploring Calabria and receiving training and experiential learning. On 25/09 they have been the international guests of the SO-VET Multiplier Event. JUMP simply combined the need of “educators” to bring innovation in didactic and training and the key competence of “entrepreneurship education” which is at the base of SO-VET project. Italy is a Country where the 90% of companies are Small and Medium, more Small than Medium and it’s fundamental for all teachers in Europe to start since the beginning in teaching elements and tools of “Entrepreneurship” developing “Entrepreneurial skills” in students but also uniting topics related to what European Recommendations suggest us to foster and practice. The 25 of September 2017 has been a day of intensive training and JUMP had the responsibility to disseminate the Output 1 realized in cooperation with all SO-VET partners. Imagine how to speak about a long and complicated file of 47 pages to an audience which don’t speak English very well or don’t know about social enterprise but are curious and wants to learn about it. How? JUMP started in August a promotional months organizing meetings and also a big aperitif on the beach. Why not? In September summer wasn’t ended and the weather was very OK giving energy and optimism. JUMP could count with the presence of 18 adult people and stakeholders really committed in understanding how to start and bring on a “Social enterprise”. Freelance workers, engineers, accountant, VET teachers and professionals in general. The event was held by the Scientific Liceum “A. Guarasci” in a IT room full equipped and participants were finally 18 Italians and 14 International plus 3 young NEETs now part of the JUMP Team. Facilitated with non formal methods by Ms Jess Mc Murray who came from Oxford and Erika Gerardini. Speaker and expert on the topic, Pietro Curatola, JUMP President, graduated in Economy in 2005 in Bologna and now project designer dealing with startups and new business development. 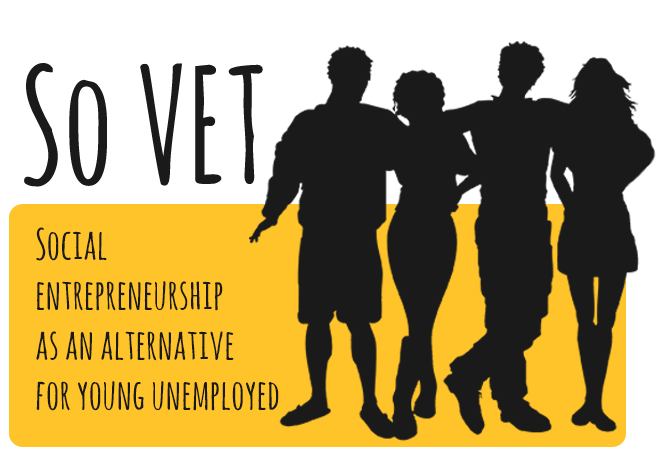 The Output 1, which is a Need Analysis Report published by the Greek partner, IED on the SO-VET website www.so-vet.eu has been the starting point. It’s always important to have a comparison among Countries and check data and conclusions on a research and a study realized internationally. Then, the Multiplier Event was conducted as a workshop with non-formal education, speaking about education and training in Europe and measures to fight unemployment in our local contexts. At the center of the project there is the situation of young people, still disoriented and unemployed. On 25/09 we didn’t change the world but we had an important impact in Soverato, in the province of Catanzaro, in Calabria region, “where summer never ends”, bringing international and national guests from different sectors. This has been a first step and we will continue soon to promote SO-VET and future outcomes of the project!